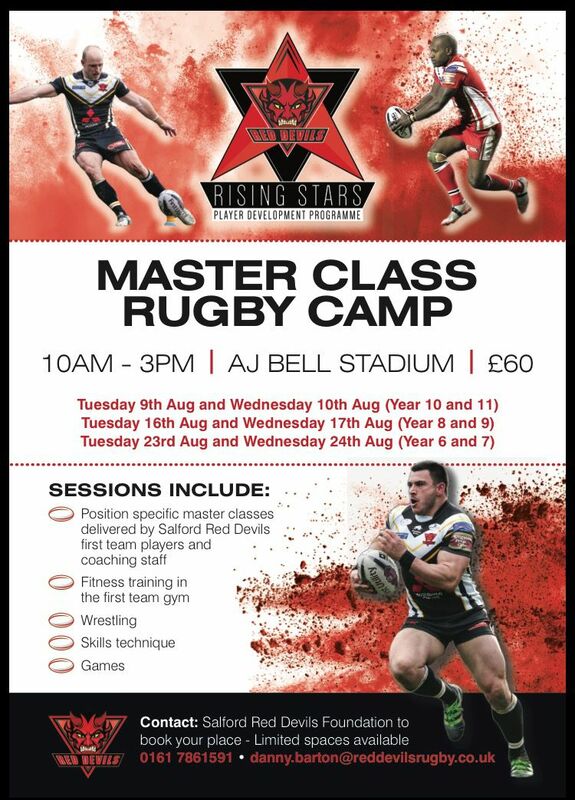 The Salford Red Devils Foundation summer camps got off to fantastic start this week with kids from the ages of 7-16 getting involved and getting active during the summer holidays. The camps got underway on Monday with boys and girls from the ages of 7-12 trying their hands at a number of different games and activities such as Rugby, Football, Dodgeball and Cricket in our multi-sport camps hosted at Salford City Roosters. 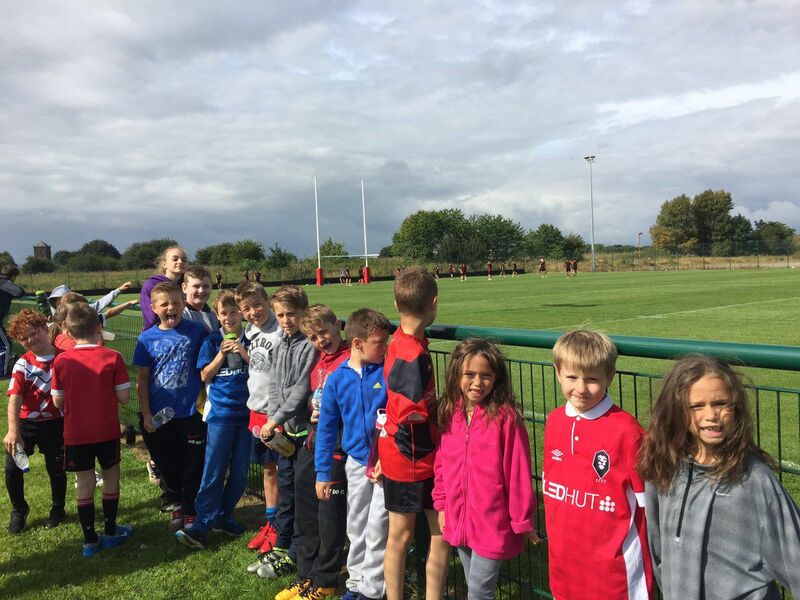 On Wednesday the participants were give the treat of being able to watch the Red Devils first team train, and meet their Super League heroes. The sessions were taken by the Foundations expert community sport coaches, who regularly deliver sport across a large number of schools in the local area. 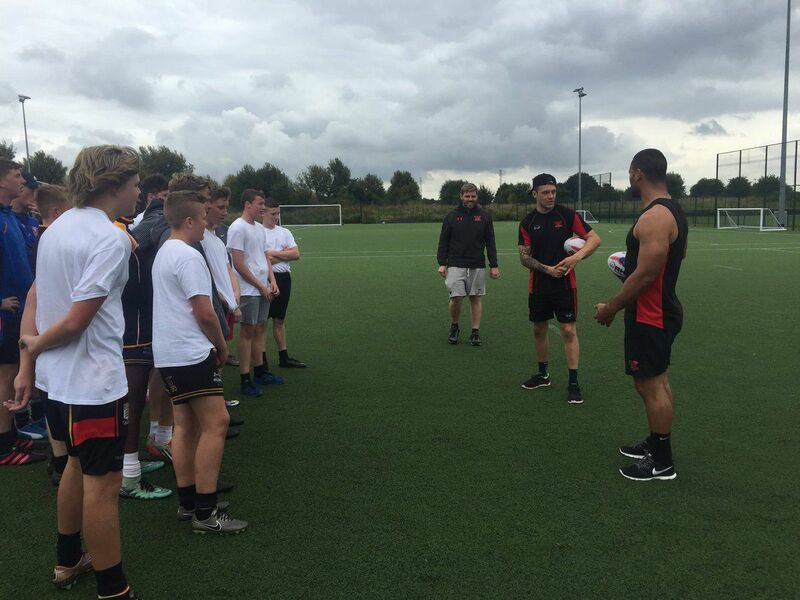 Tuesday saw the start of the Rugby League Master Class Camps with years 11 & 10 bids being put their paces through Red Devils first team stars such as Craig Kopczak and Mark Flanagan. The participants of both camps seemed to enjoy themselves immensely and the feedback from the Red Devils coaches was hugely positive about the young sporting talent in the area. These camps continue to run for a further two weeks, with years 8&9 boys Master Class starting next Tuesday and Multi sport camps running from Monday for boys and girls from the ages of 6-12.